Baachu communities are the go-to communities for answers to any questions related to procurement and growing your business online. They are designed as a place where Baachu members can connect, support, and encourage each other as they implement the latest bidding strategies. 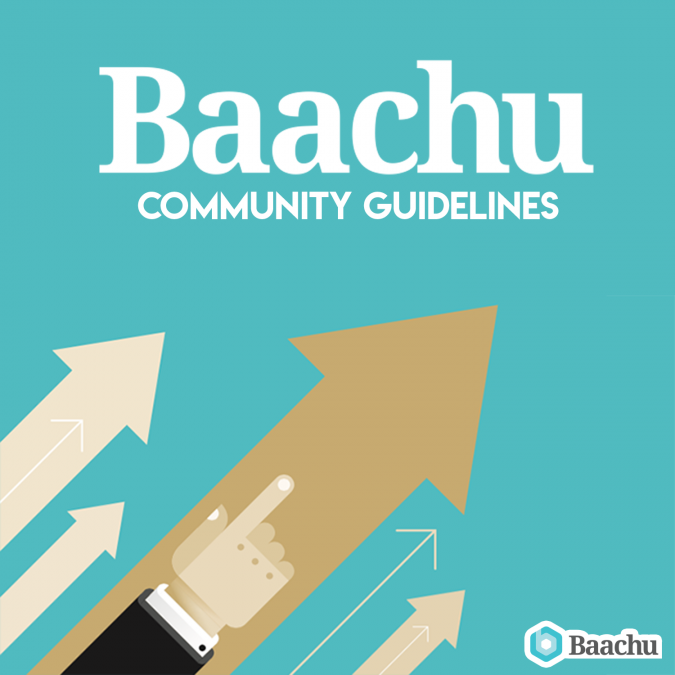 These guidelines aim to ensure that every Baachu community is inclusive and inviting to bidding professionals of all skill levels. Community admins, which consist of Baachu staff, will ensure that member posts and comments are relevant and appropriate. We will take any steps we deem appropriate to ensure that community conversations meet the policies described below. Depending on the severity and frequency of any offending content, you may not be notified that your post or comment has been removed. If Baachu feels that an issue needs to be addressed, the community manager will notify you privately. Collect, repackage, and/or share data outside of the group (this includes asking members to take a survey for market research purposes). Every member of a Baachu community has a right to privacy and the right to feel safe that their questions, answers, and experiences remain privy to group members only. The purpose of Baachu communities is for peer-to-peer support related to procurement and growing your business online. It is not a group for finding hired help. We respectfully request that you do not post your listing in Baachu’s Community Groups as it detracts from the purpose of the group. Posts of this nature will be deleted or turned off, at the admins’ discretion. To ensure that dialogue in every Baachu community remains relevant and engaging for all members, you’re expected to observe 8 simple principles. The admins apply these principles when reviewing content in our communities. We love criticism of products, services, policies, and performance (ESPECIALLY our own). Seriously, we do. For the sake of that constructive debate we just talked about, we will distinguish between useful, focused argument and smear tactics/propaganda against Baachu or any other company or product. We understand that people often feel strongly about issues discussed in Baachu communities, but we may remove any posts or comments that others might find offensive or threatening. Not everyone has a thick skin, so please consider the impact your posts and comments can have on others. Keep it relevant. Conversations in Baachu communities cover a variety of topics, but if you make a post or comment that is super off-target, it might be removed in order to keep discussions on track. Baachu communities are not an extension of Baachu customer care, but it is a great place for two-way discussion and feedback. Please direct individual customer care issues and product inquiries to baskar@baachu.com. This is a group of your peers, not your leads. We take a very strong stance against promotion, lead generation and soliciting. Please do not offer services unless a member is specifically asking for a service. You must offer services on the public thread unless specifically asked to private message. If a member in private message solicits you without establishing a prior relationship, please let us know at baskar@baachu.com so we can look into the issue. The community platforms are moderated by Baachu, but the conversation belongs to everybody. We want every Baachu community to be a welcome space for intelligent discussion and support, and we expect members to help us achieve this by notifying us of potential problems and helping each other keep conversations inviting and appropriate. If you spot something problematic within the community, please report the post, reach out to the community manager, or contact us at baskar@baachu.com. The admins of Baachu communities operate on giving the benefit of the doubt. Three warnings for behavior that goes against the community guidelines will result in a 7-day removal from the group. After the 7-day period, you are welcome to rejoin the group on a 30-day probation. If you act against the community guidelines again during your probation, you will be permanently removed from any associated Baachu communities. Aysha Begum is the Community Manager for Baachu’s private Facebook Group for Baachu Scribble Padi members: BaachuEngage and the exclusive Facebook group for APMP Certification Training course members: Baachu Connect. You can contact her at aysha@baachu.com.